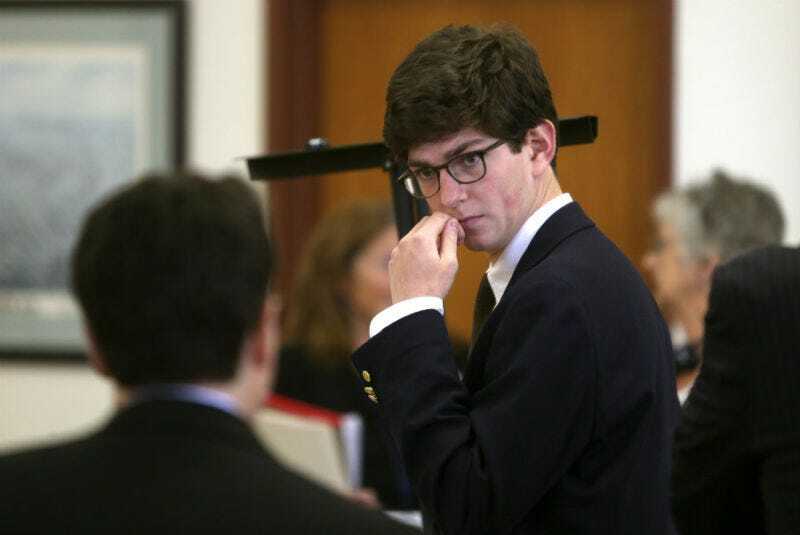 Earlier this week, prosecutors asked that Owen Labrie’s bail be revoked and that he be returned to jail for violating the terms of his parole. Labrie, who was free on probation pending his appeal, was spotted by a Vice contributor on a Boston-bound train earlier this month. He stupidly decided to grant the contributor, Susan Zalkind, an interview. The only problem: the terms of Labrie’s bail imposed a 5 pm curfew. He was more than 150 miles from his Vermont home when Zalkind was tweeting about the interview at 2:15 pm. Prosecutors said they had surveillance video of Labrie buying a bus ticket to Boston on Feb. 29. He made other ticket purchases with his credit card, providing investigators the exact time of the purchases and schedule of his travel. Reporters on the scene said Labrie and his mother were crying as he was led away in handcuffs.